Generally considered to be at the forefront of the burgeoning American roots movement that metamorphosed into Americana with its various strains, the Nitty Gritty Dirt Band have always lived up to their onomatopoeic name. They formed in the Long Beach area of California in the mid-sixties, an anomalous place for such a down-home ensemble. Early members included Jackson Browne but the most constant elements come from singer songwriter and guitarist Jeff Hanna, drummer Jimmy Fadden and the gifted multi-instrumentalist John McEuen. In a career spanning six decades the NGDB (aka The Toot Uncommons, or simply The Dirt Band) have enjoyed a level of chart success that belies any notion this is simply good time music, although good time it most certainly is. If that were to damn them with faint praise consider they’ve enjoyed a long running string of singles success with four number ones in their saddlebag. They’ve appeared in movies (notably Paint Your Wagon), jammed with Dizzy Gillespie and made a perennial cult favourite out of Jerry Jeff Walker’s 'Mr. Bojangles'. Their award winning concept discs, the trilogy of albums known as Will The Circle Be Unbroken, have cemented their place amongst the greats. Long Beach residents Jeff Hanna and Bruce Kunkel formed the band in mid-1966. Recruiting guitarist/washtub bassist Ralph Barr, the harmonica and jug expert Jimmy Fadden, mandolins and many other things man Les Thompson, and finally strings maestro John McEuen, the act’s flair and humour made them an instant Hollywood success. They played shows with The Doors and The Byrds and never came off second best. The self-titled debut is notable for showcasing then unknown writers like Steve Noonan and Jackson Browne (two thirds of the so-called Orange County Three – Tim Buckley being the other one) as well as vintage vaudevillian songs, classic blues like Rev. Gary Davis timeless Candy Man and fast bluegrass instrumentals with super slick virtuoso banjo and accordions and anything this peculiar ensemble could lay their hands on. It’s a classic of the kind and was followed by another 1967 disc, Ricochet, which expands the folk rock and country blueprint with another exemplary set of love songs that aren’t all they seem, lots of Beatle-like Ringo rhythms and more deft writing from Browne and Noonan, not to mention a hilarious version of 'The Teddy Bear’s Picnic'. This esoteric melange made the NGDB instantly successful as a live act on the West Coast and they upped their game on Rare Junk by concentrating on a far more electric sound. Enter some guests too – future Eagle Bernie Leadon plays lovely lead on Tim Hardin’s 'Reason to Believe', Southern rock drummer Johnny Sandlin kicks up a storm alongside pianist Paul Hornsby (an accomplice of the Allman Brothers) and Rodney Dillard adds dobro. Again there’s a chance to hear something rare from Browne. Nico had previously cut her 'These Days' but the Nitty boys do it better. 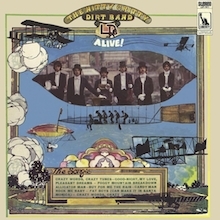 Alive was actually recorded two years before its 1969 release at the Troubadour club in L.A. which makes it a must hear item. A great concert on a great night this is one of those live albums that cries out to be discovered again thanks to a fine blend of Cajun, country and bluegrass. Uncle Charles & His Dog Teddy signals a change in fortune for a band that were getting stuck in Santa Monica. It provides their hit 'Mr. Bojangles' and a new collaboration with producer William McEuen who brings in a more knowing choice of material with less frivolity and the accent on authenticity. This album is acknowledged to be a classic. Songwriters like Randy Newman, Michael Nesmith, Stephen Foster and Lennon and McCartney feature, there are bursts of ragtime and classical and the whole just sits together like a very fine thing. All The Good Times continues this change of pace for the early 1970s. The band are writing and arranging with real flair and still cherry-picking great material from other sources, including Eddie Hinton’s R&B stomp 'Down in Texas' and Browne’s elegiac 'Jamaica Say You Will'. Best of all is their version of Hank Williams’ 'Jambalaya (On The Bayou)' and the feeling is that by now the Dirt band are doing more than most to reintroduce America to its own heritage, a good twenty years before Americana becomes a go to methodology. 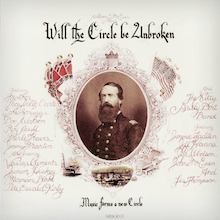 Now enter the immaculate Will The Circle Be Unbroken, which showcases the great fiddle player Vassar Clements to the world and provides the listener with a crash course in all aspects of country music. The tenor of this sprawling item, a triple vinyl release back in the day, which garnered five star reviews and stunned critics and listeners alike, is a look back in time to the heyday of the Grand Ol Opry. Songs covered come from the pens of Fred Rose, Hylo Brown, Bill Monroe, Merle Travis and Williams. This is an item to dig out, dig deep and treasure. Stars & Stripes Forever, partly live in the field, maintains the band’s idiosyncratic working method – studio songs interspersed with a documentary flavour. Ahead of the fashion curve, the band cover Michael Murphy’s 'Cosmic Cowboy (Part 1)' and Jimmy Driftwood’s classic War of Independence rocker The Battle of New Orleans'. Moving a step sideway as 1975’s Symphonion Dream combines classic and country to great effect but there’s also plenty of high lonesome stuff like 'All I Have to Do Is Dream', and 'Hey Good Lookin’' vying for your attention. 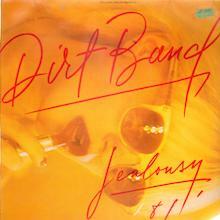 We pick the band up again in 1981 and the Jealousy disc, now credited to The Dirt Band. Toto’s Steve Lukather adds vocals to the title track while the in-house writing maintains the highest standard. But it’s Let’s Go (1983) which finds them return to their full name and start smashing up the charts on the singles 'Shot Full of Love' and 'Dance Little Jean'. The album enjoyed regular airplay on mainstream stations as country music begins to filter out of generic typecasting and they take full credit for that sea change. In the 1990s the NGDB returned to their roots on the Acoustic album with a country and folk passion although they balance that with some fine pop choices, namely 'Dennis Linde’s Hello', 'I Am Your Heart', and stand tall against the faceless breed of hat acts that had threatened to sweep away their accomplished ilk but did not. Completing our dish of Dirt are the other conceptual works, Will The Circle Be Unbroken Vols. 2 and Will The Circle Be Unbroken Vols. 3, where you’ll discover guests including Tom Petty, Johnny Cash, Doc Watson, Alison Krauss and Taj Mahal entering into the spirit of this groundbreaking act. 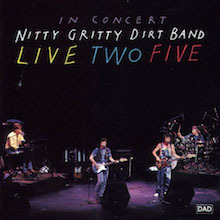 There is also the 25th anniversary concert disc Live Two Five, a fine summary of their many hits recorded before an ecstatic crown in Alberta, Canada. Fact is the circle has never been broken for these guys. Adored by fans, checked by the cognoscenti and respected by their peers, The Nitty Gritty Dirt band are an institution. Their music is the gift that keeps on giving. The real nitty gritty. 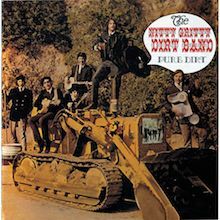 With all due respect to the Byrds and the Flying Burrito Brothers, it took the Nitty Gritty Dirt Band with this album to come up with a merger of rock and country music that worked for both sides and everyone involved. The opening number, "The Grand Ole Opry Song," set the tone for the album, showing that this band -- for all of their origins in rock and popular music -- was willing to meet country music on its terms, rather than as a vehicle for embellishment as rock music. 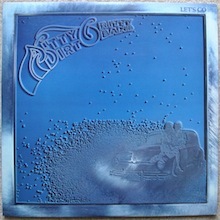 The result, without a false or strained note anywhere among its 37 songs, was an all-star country project that worked (and transcended its country and rock origins), with the Nitty Gritty Dirt Band serving as catalyst and intersecting point for all of the talent involved, all of who gave superbly of themselves. Not only did this album result in new exposure to a new and wider audience for the likes of Mother Maybelle Carter, Roy Acuff, Earl Scruggs, Merle Travis, and others, but this was the first real country album that a lot of rock listeners under the age of 30 ever heard. Thus, it opened up pathways and dialogue in all directions, across several generations and cultural barriers; the dialogue between Doc Watson and Merle Travis alone was almost worth the price of admission. 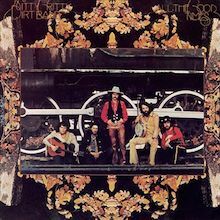 This was also one of rock's very few multi-disc sets to be fully justified in its length and content; at a time when unnecessary double-LPs were all the rage, the Nitty Gritty Dirt Band and company gave a triple album that, if anything, left audiences asking for more. 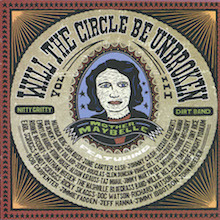 The 2002 CD adds four bonus tracks, though only "Foggy Mountain Breakdown" is a proper song; two of the others consist of warmups and studio chat, while "Remember Me" (featuring Doc Watson) is just a fragment. A strong debut album by one of the most offbeat folk/country-rock bands of the 1960s, the Nitty Gritty Dirt Band. Apart from the one unabashed classic, "Buy for Me the Rain," which was a modest hit and the group's biggest claim to musical fame for the next three years, the album also contained the delightful banjo-dominated John McEuen/Bill McEuen instrumental "Dismal Swamp" (which was anything but dismal), the Jackson Browne ballad "Holding," the rousing "You're Gonna Get It in the End," and Bruce Kunkel's haunting, ethereal "Song to Jutta" (as fine a song as anything the Byrds were doing at the time, and better played). In those days, the band wasn't too far removed from the sound of the early Grateful Dead or the Charlatans, but as this album reveals, drugs played less of a role in their music-making than humor, and some of the material was a little too comedic -- Rev. Gary Davis's "Candy Man," for example, comes off more upbeat than blues covers were supposed to be in those days, and may have seemed a little too much like a minstrel show interpretation (though one suspects Davis would have loved it), in a time when white versions of such songs were supposed to be either heavily electrified or reverent to the point of being somber. How many live albums -- forget decent ones -- were left behind by bands in 1967/68? This is one, and it's better than decent, and almost a gift from heaven, capturing an early incarnation of the group (circa 1967) on a good night at the L.A. Troubadour. Someone has earned a place in musical heaven for seeing to recording the show. 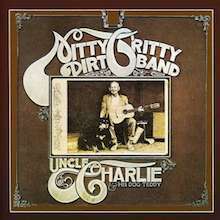 The first album issued by the Nitty Gritty Dirt Band after they had temporarily disbanded in 1969, this greatly expanded their pop audience, due primarily to the Top 10 hit cover of Jerry Jeff Walker's "Mr. Bojangles" (which actually wasn't a hit until early 1971). The group moved into a more accessible rock-oriented fusion of country, bluegrass, pop, and rock & roll, relying primarily on smartly chosen covers of tunes by the likes of Walker, Mike Nesmith, Randy Newman, and Kenny Loggins. Few bands had incorporated instruments more commonly associated with country and bluegrass, particularly mandolin and banjo, as comfortably into a rock setting prior to this release, and their well-crafted harmonies help put the songs over for those not-steeped-in backwoods sounds. It was an extremely diverse program for a country-rock album, too, moving from rustic instrumentals and snippets of tapes of elderly musicians performing rural Americana to the Buddy Holly cover "Rave On." The group were actually at their best, though, when doing softer, melodic pop tunes. "Mr. Bojangles" was a deserved huge success in that regard, but Nesmith's "Some of Shelley's Blues" and Loggins' "House at Pooh Corner" were almost as catchy and appealing. Songs on this CD include 16 tracks, fish song, jambalaya, down in texas, creepin' round your back door, daisy, slim carter, hoping to say, baltimore, jamaica say you will, do you feel it too, civil war trilogy, and diggy liggy lo. Picking up on the slightly increased rock & roll energy of 1980s Make a Little Magic, the Dirt Band deliver their liveliest album in years with Jealousy. Not that the band abandons the soft rock that's been their stock in trade since 1978 -- with its thick gloss of keyboards, precise grooves and punchy guitars, there's no mistaking this for anything but the work of slick studio pros -- but the emphasis has shifted ever so slightly from mellow love songs to tight rock and pop. At times, it seems like the group flirts with then new wave oldies of Rockpile -- "Too Close for Comfort" is a terrific little rocker that suggests a stiffer Nick Lowe -- but when they choose to rock, the Dirt Band winds up with a big, shiny sound designed for an AOR hit that they never quite mustered. That hit never came because while they nailed the sound -- this captures how early-'80s mainstream pop/rock felt -- they never quite got the right set of hooks, coming close on the reasonably propulsive "Catch the Next Dream," but the strongest melodies on Jealousy come from the softer numbers or the ones that thread a bit of the earliest bluegrass influence back in, as on the quite appealing closer "Easy Slow." All this leaves the impression that the Dirt Band was ready to stretch out and try something new -- or at least give themselves a vehicle where they could play a little more freely than what the strict pop tunes gave them -- but they were neither ready to return to their roots or to fully rock, so they wind up sounding best on the soft rock that has been their comfort zone for a few years now. The 1983 album from The Nitty Gritty Dirt Band. This album marks the return of Nitty Gritty to the band name and Jim Ibbotson to the band. 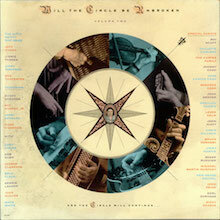 The Nitty Gritty Dirt Band (aka The Dirt Band) is notable for having many charting albums and singles. This album reached 26 on the US Country charts. Two singles from this album also charted. "Shot Full of Love" reached 19 on the US Country charts. "Dance Little Jean" reached 9 on the US Country charts. This easily won the Country Music Association's Album of the Year Award, thanks to a stellar cast that includes John Denver, Johnny Cash, the Carter Family, Bruce Hornsby, Ricky Skaggs, Chris Hillman, Roger McGuinn, Rosanne Cash, Steve Wariner, Roy Acuff, Chet Atkins...you get the message. Tracks were all recorded in one "take," with no overdubs, making the outstanding musicianship particularly noteworthy. Atheists beware: there's a lot of gospel. Like a comet that periodically returns and lights up the sky, the Will the Circle Be Unbroken series manages to be predictable and illuminating at the same time. Once again, the Nitty Gritty Dirt Band draws an assembly of deities and wannabes around the campfire. Some of these are familiar, though veterans from the first volume have grown scarce: Doc Watson plays "I Am a Pilgrim" as a tribute to the late Merle Travis, who cut the same tune on the 1972 Circle session. Jimmy Martin returns too, his galloping, almost-reckless delivery undimmed by the years. From the 1989 sequel comes Johnny Cash, whose "Tears in the Holston River" eulogizes Maybelle Carter, his mother-in-law and the soul of the first Circle. New faces take the place of those who have departed: Willie Nelson is a logical addition, though his duet partner, Tom Petty, sounds uncomfortable and awkward on "Goodnight, Irene." Emmylou Harris assumes her place in this pantheon, her voice breaking hearts even in harmony with Matraca Berg on "Oh, Cumberland." No performance stands out more than that of Taj Mahal, whose presence has a demographic significance and whose rollicking rendition of "Fishin' Blues nearly steals the show. But Mahal also contributes to the album's only serious blemish: On the inevitable title cut, he and the other soloists play with a solemnity that deletes the song's communal energies. A congregational enthusiasm distinguished its performance on the first album; here, the singers -- particularly Alison Krauss -- pass it along, verse by verse, as if it were priceless china. This music is about soul, not trepidation, so it's to everyone's credit that such moments are scarce here. Let's hope that they don't dress it up with string samples or breakbeats once Will the Circle Be Unbroken, Vol. 4 rolls around. Recorded during three shows at the Red Deer Fine Arts Center in Alberta, Canada, in 1991, Live Two Five contains a healthy portion of the band's significant hit output. Consisting mostly of faithful, slightly extended versions of their classic laid-back country-rock classics, only a meandering 11-minute "Ripplin' Waters" and a completely unnecessary harmonica instrumental on "Harpo" are significant low points. Of course, many of the songs eventually descend into band members pandering for applause and crowd sing-alongs, so this is aimed at the more avid fan. Still, there is more than enough to keep the casual fan interested.